Whether you’re looking for the perfect racing flats to guide you to a PB or just something a little less bulky, our guide to the best lightweight running shoes will help you find the perfect feather-weight footwear for you! We know that choosing a single shoe can be a really tough job, especially when you have thousands of options to choose from. That’s why we’ve compiled a list of top 5 lightweight running shoes so you can flick through the list to find the perfect match for your foot type. Which one should you choose? Let jump into the reviews to find out! The very lightweight build makes it appropriate for many runners. Comfortable design that makes it easier to run for long distances. Flyknit fit offers extra support and superior ankle and foot protection. Nike’s Flyknit Racer utilizes its patented “Flyknit” fabric to help it wrap tightly around your foot like a sock. This tight fit creates a highly supportive shoe that also breathes well. Comfort like this is crucial to a high-quality running shoe. We also found that this model had a very “springy” feel to it that aided in our running experience. Shoes with “bounce” like this are an excellent choice because they naturally promote a better running experience. Beyond these benefits, the Flyknit Racer looks cool. We liked the way it adapted to various foot sizes and appreciated the different color and design options that were available. With the patented Flyknit technology creating a unique foot-hugging experience, we can safely say this is a great shoe for just about any running enthusiast. We suggest it to those who have a little more experience than the average runner, as it lacks a multi-purpose appeal or design. The Handsome design makes it adaptable to a variety of clothing styles. Comforting sole allows you to run for extended periods of time. High-quality materials create a sturdy and reliable shoe that will last a long time. 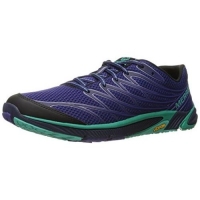 On Cloudflow is designed to be a lightweight running shoe that is comfortable to wear for extended periods of time. Runners who are in perfect shape love it because it lets them experience the long-distance running they enjoy. However, new runners who are getting back into shape appreciate its support. Each model is made with a responsive and comfortable cushioning system. This On cushioning helps create a comfortable shoe that can be worn around the house or even while on the go. We found that it was also very handsome and looked great on a variety of different runners. Overall, this shoe a perfect choice for those who want an all-purpose shoe they can wear in multiple sporting situations. It’s also a good choice for runners of all experiences. Comfort, style, and long-distance running capabilities: what more could you want in a running shoe? 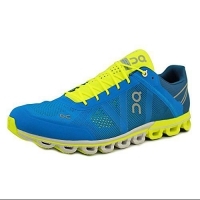 Runners looking for a zero drop, lightweight running shoe. Designed for multiple uses, including various sports activities. Minimal cushioning still provides maximum comfort and a lightweight build. The streamlined design makes it easier to wear in everyday situations. The Bare Access Arc 4 is designed to provide maximum support for regular runners. We found that it provided a superior level of support and comfort, particularly when compared to similarly priced running shoes on the market. The synthetic leather build was not only very comfortable but created an excellent sense of breathing that is crucial to a great running experience. That material “give” provided a more relaxing and comfortable running shoe experience. It is also a relatively narrow shoe, which has its up and downs. On the positive side, it is easier to wear for many people and won’t trip up the average runner. Those with narrower feet may struggle with it, though it does come with “wide” models for those who need it. 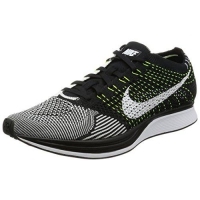 Anyone who wants a comfortable running shoe would do well to choose this model. Its lightweight build is particularly nice here, as it provides the new runner with a lighter and easier-to-handle running experience. As a result, they can streamline their routine more efficiently to become better athletes. The curved arch that supports the foot better than many other models. Great traction on a variety of running surfaces. The light build makes it easier to wear for extended periods of time. 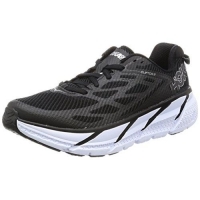 Hoka One One Clifton 3 is a great running shoe because it does a lot of little things right. First of all, it uses an “irritation-free” build that avoids excessive friction while you run. As a result, your feet won’t break out into rash or cuts while you run. We think this is an ideal shoe for anyone suffering from impact related injuries such as shin splints. Even better, it comes with an excellent breathable design that keeps your feet ventilated and free from excessive sweat. It encourages natural evaporation and creates a “stink-free” shoe you can wear for extended periods of time. Last, but not least, it provided a relatively “impact-free” midsole that negated many of the aches and pains caused by running. Support for the sole and ankle are crucial with running shoes, and this model delivers a high-quality experience. With its focus on a variety of critical support features, the Hoka One One Clifton 3 provides a superlative running experience. It is perfect for the runner who is looking for one running shoe that they can use for years. A durable build that means it will last for years. The incredible traction that made it easier to take off and pivot when playing other sports. A very comfortable midsole that provides a maximum level of comfort. 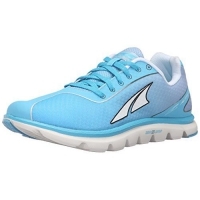 The affordable Altra One 2.5 is one of the most comfortable running shoes on the market, the zero drop style will make it a popular choice for any runner looking for a barefoot style running shoe. It is built with a mesh design to fend off excessive moisture. This protection helps keep your foot from getting too sweaty, uncomfortable, and smelly during long-distance runs. It also comes with a sturdy rubber sole that creates a very smooth ride. While it doesn’t quite feel like you’re “running on a cloud”, the comfort provided by this shoe does decrease the impact of the sport. As a result, this model is ideal for those who may have weaker ankles or knees. In particular, we think it can help anyone who is looking to avoid serious problems with their feet caused by running. With its protective comfort and breathable mesh, the Altra One 2.5 is a good choice for runners who need extra support. Even those with healthy feet, ankles, and knees can benefit from the assistance of this shoe. With that kind of extra support, you can avoid developing problems in the first place. 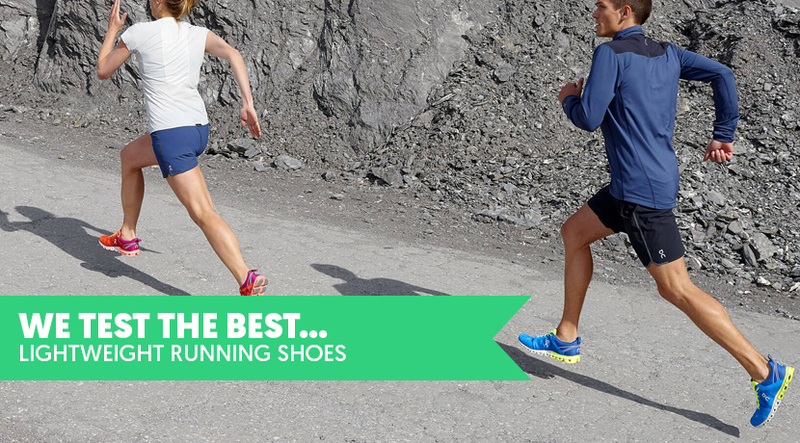 So there you have it, our 5 best lightweight running shoes that are ideal for some personal best setting! If you think we missed on of your favorite shoes from this list, let us know in the comments below.